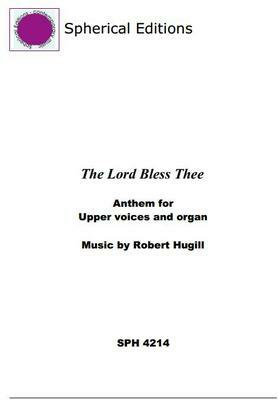 Originally written for soprano solo and organ, for a friends wedding, the arrangement for two part upper voices and organ was premiered in 2013 by the Girls Choir, of St Catherine's College, Cambridge. The Lord bless thee, the Lord keep thee. The Lord make his face to shine upon thee, and be gracious to thee. May the Lord lift up his countenance upon thee, and give thee peace. What do you want to know about The Lord bless thee?